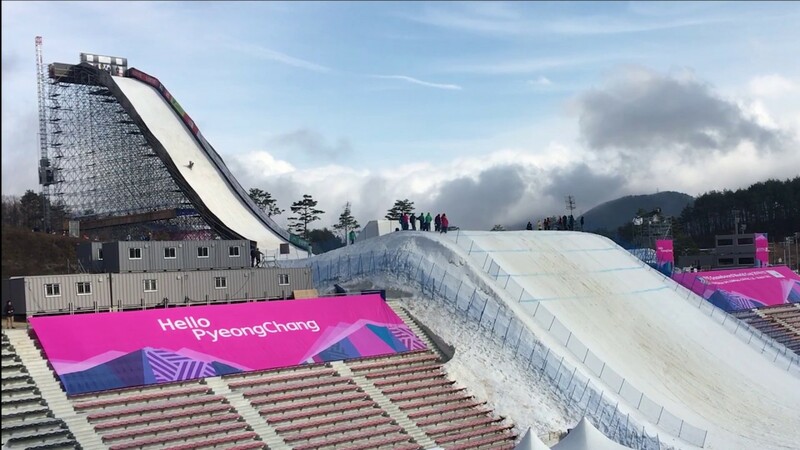 New York Times Magazine – "‘Big-Air Snowboarding’ to Make Its Big Olympic Debut"
"The history of snowboarding, or as it was known then, “snurfing” (i.e., snow-surfing), does not begin in Michigan in the 1960s with boards made by a guy named Sherman Poppen. It does not even begin, as revisionists will tell you, in Colorado in 1939, with a thing called the Bunker Sno-Surf. It happened a full year before, in 1938, in Yosemite National Park. A slight young man named Robert Trumbull, a Honolulu newspaper editor who wrote a weather column under the byline Sol Pluvius (Rainy Sun), was on vacation. Chicago-born, Trumbull had seen plenty of snow, and he had been surfing. That was the all-important crossing of the wires. “Yesterday Sol showed the natives a new trick,” reported The Honolulu Advertiser, “snow-surfing, or as Sol called it, ‘snurfing.’ ” He coined the word. That may all be sports trivia, but it’s about to become important trivia, because soon, in this very winter of 2018 — 80 years after Trumbull’s breakthrough — will occur the Olympic debut of a sport known as “big-air snowboarding,” which is the snurfing equivalent of big-wave surfing. It is best described as the most beautiful, insane, stupid, dangerous, death-wishing, insane and beautiful sport ever perpetrated on innocent spectators."